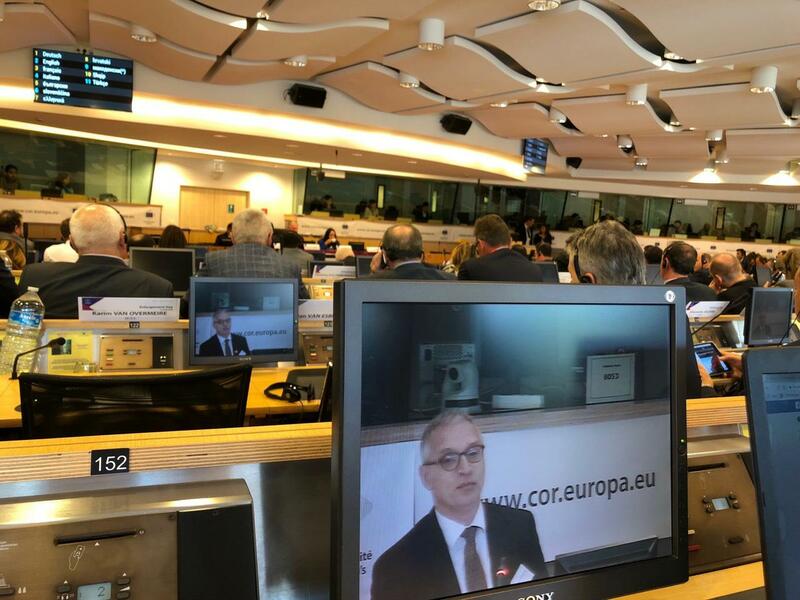 The Enlargement Day, taking place today in Brussels, took a critical look at the state and future of the EU enlargement process and brought the debate back to the level of governance closest to the citizen – the local and regional authorities. The theme running through the whole event is that any country joining the EU will need to prepare not just its central government and administration, but also the local and regional level – as that level will eventually implement much of the EU legislation. The President of NALAS, Mayor Darko Fras addressed in the opening of the Enlargement Day, sharing some of NALAS’ statements and recommendations voiced within the exploratory debate on the Opinion of the CoR on Enlargement and in the NALAS position paper as a direct response to the EU Commission’s communication entitled “A credible enlargement perspective for and enhanced EU engagement with the Westers Balkans”, approved by 14 national delegations from 12 countries in SEE during the last NALAS General Assembly. “The Multi-Country Indicative Strategy (2014-2020) IPA II does not address local authorities as layer of governance. The lack of components designed for local development and the specific needs of cities, towns and local government entities speak for themselves. Local Authorities are not considered as key actors under IPA II. NALAS invites the EU to involve Local Government Associations actively and be part of the IPA negotiation, programming, monitoring and evaluation process for the period beyond 2020 (IPA3)”, said Mr. Fras. 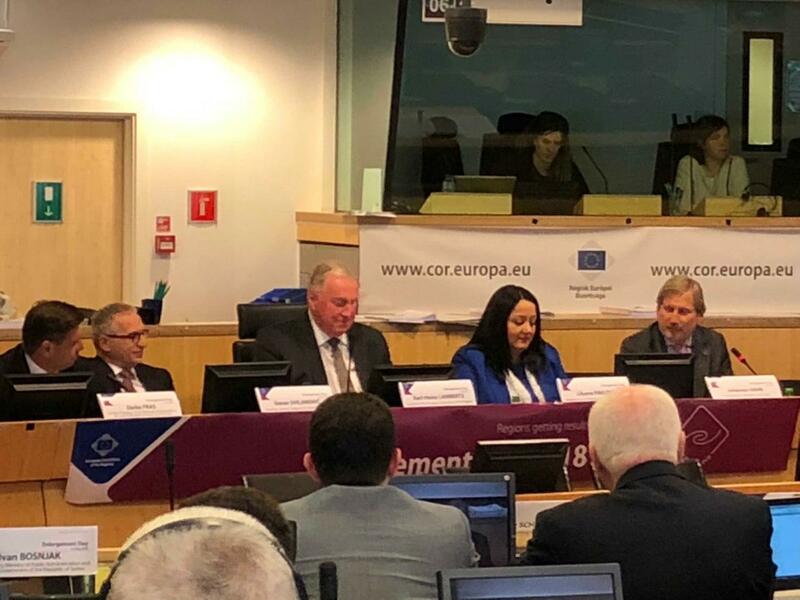 During the opening session messages were also shared by Mr. Karl-Heinz Lambertz, President of the European Committee of the Regions, Ms. Lilyana Pavlova, Minister for the Presidency of the EU Council, Bulgaria, and Mr. Goran Svilanović, Secretary General of the Regional Cooperation Council (RCC). Mr. Lambertz emphasized the urgency for reopening local facility programs for subnational governments in the frame of the pre-accession support and stressed NALAS’ important role in the region in building capacities of the local government. Mr. Svilanovic said that the integration process has failed to involve local governments. “There is a big potential for NALAS in the frames of Regional Economic Area”, said Mr. Svilanovic. “We can learn from local governments what can be done and RCC is ready to improve in this area”. Commissioner Johannes Hahn, European Commission, Directorate-General for Neighbourhood and Enlargement Negotiations (DG NEAR), had a keynote speech during the Enlargement Day. “We will remain only at the surface if we do not involve local government level in EU integration”, said Commissioner Hahn. 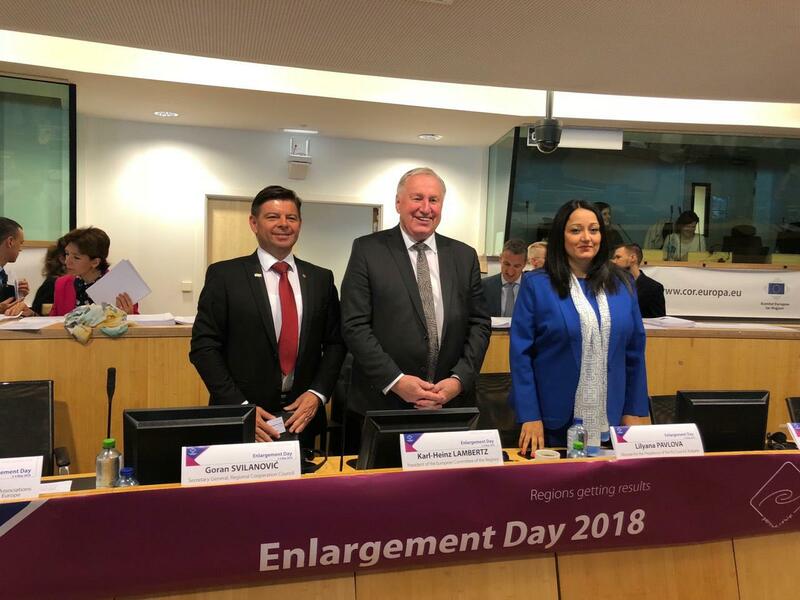 The Enlargement Day is the European Committee of the Regions' annual flagship event on EU enlargement policy, now organized for the fourth time. This year the event is organised in cooperation with the Bulgarian Presidency of the EU.